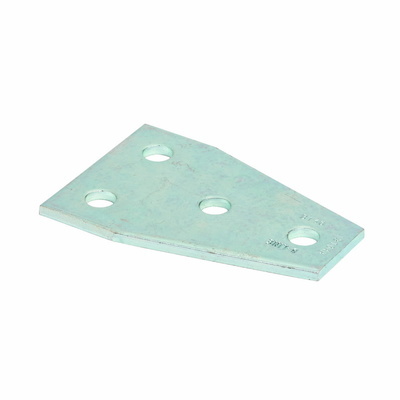 Detailed Description: Cooper B-Line Gusset connecting plate is made of steel that provides long lasting durability and strength. It is designed to use with channels. It measures 3-1/2 Inch x 1 5-3/8 Inch and features type III electro-plated zinc finish for corrosion resistance. Plate has four holes mounting for convenient installation.